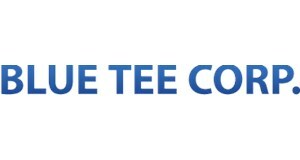 BLUE TEE CORP., DBA GEFCO is an Active Manufacturer with the Cage Code 21363 and is tracked by Dun & Bradstreet under DUNS Number 153514062. NOVATION AGREEMENT AND MODIFICATION TO CHANGE EQUIPMENT TRAINING DATE. PROCUREMENT OF 2 "SWIVEL ASSEMBLY". 100% UNEXERCISED OPTION AVAILABLE. 200608!T47136!97AS!SPM4A6!DSC RICHMOND !SPM4A606D5H32 !A!N! !N! ! !20060531!20110530!153514062!153514062!008966335!N!BLUE TEE CORP !2215 S VAN BUREN ST !ENID !OK!73703!23950!047!40!ENID !GARFIELD !OKLAHOMA !+000000000000!N!N!000000100000!6150!MISC ELECTRIC POWER & DISTRIBUTION EQ !A4B!NON-COMBAT VEHICLES !000 !NOT DISCERNABLE !335931!E! !3!C!S! ! !D!20110530!B! ! !N!Z!A!N!J!2!002!N!1B!A!N!Z! ! !N!B!N!N! ! !A! !A!A!000!A!B!N! ! ! ! ! ! !0001! !